We can only deliver to Japan addresses at the moment. 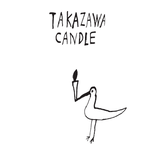 If you are interested in buying our products but living outside Japan, please send us an inquiry from the contact form in our English website, takazawacandle.com. We’d love to tell you the stockists nearby.